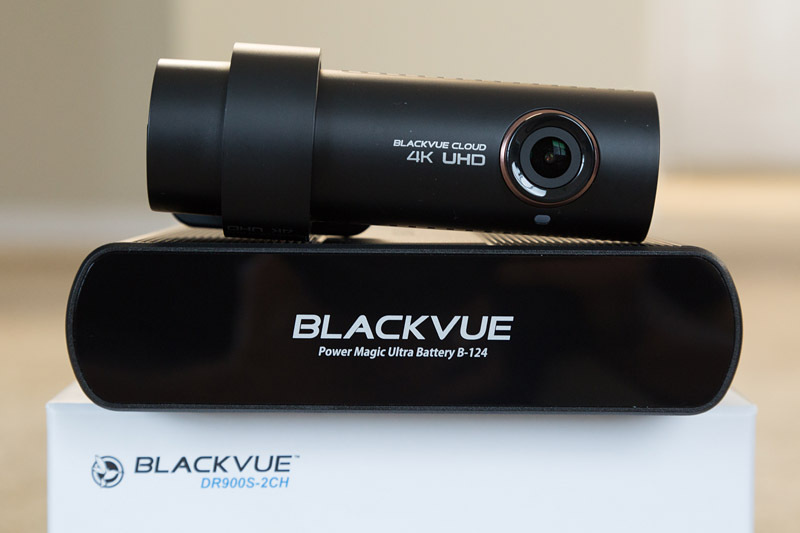 The new 4K Blackvue DR900S dashcam is now available for pre-order. I’ve been fortunate enough to get a unit in for testing and review and I must say, I think I’ve got a new favorite dashcam! This thing is seriously impressive. Here is an overview of the DR900S and my initial impressions. 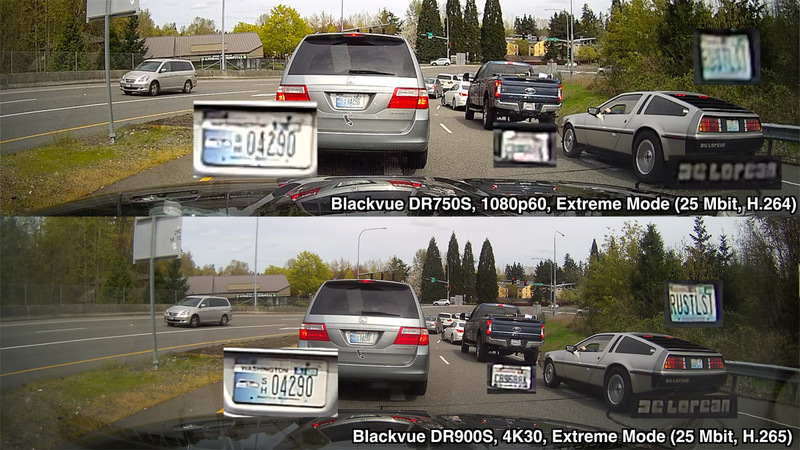 The DR900S is essentially a 4K version of Blackvue’s previous top-of-the-line DR750S (which records at 1080p). 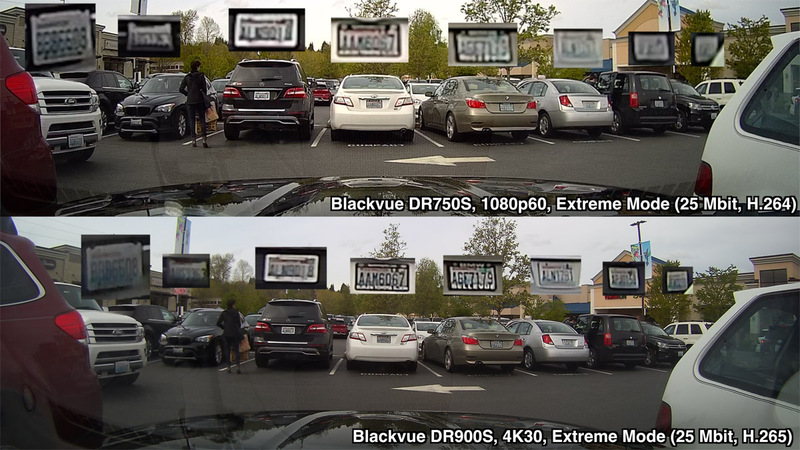 With 4 times the resolution, it does a much better job of capturing important details such as license plates. Note: The front camera records at 4K, but the rear camera records at 1080p. In fact it’s the exact same rear camera as the DR750S. For those of you upgrading to the DR900S from a previous Blackvue dashcam, see here for more information about compatibility with previous gen Blackvue mounts and cables. 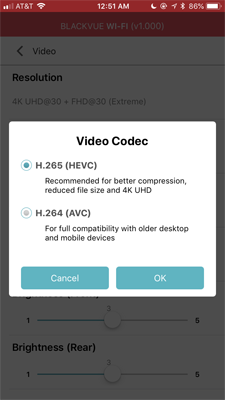 To help keep file sizes down, Blackvue has also added a new compression algorithm known as H.265. It’s more efficient at compressing video and it means that file sizes with the 4K DR900S are actually the same as the 1080p DR750S! Very impressive! This means that you don’t have to worry about blowing through your memory card space, just because you’ve upgraded from 1080p to 4K. The DR750S supported WiFi with 802.11n at 2.4 GHz for streaming video from your dashcam to your phone. The DR900S adds 802.11ac at 5 GHz for even faster WiFi streaming and file downloads. 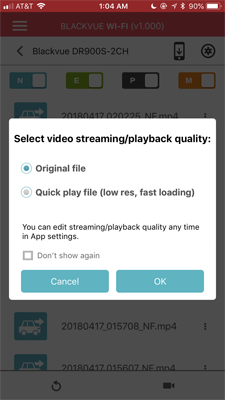 Additionally, there’s now a new option available to reduce the video streaming / playback quality for faster playback as well. The DR900S looks like it’s set to be the best dashcam on the market. I’ve previously done a detailed comparison with the best high end dashcams including the Blackvue DR750S, Thinkware F800 Pro, and DOD RC500S. The DR750S was my top pick. With the updates that the DR900S brings including 4K and improved video compression, the DR900S is a very nice step up in performance over what was previously my top dashcam pick. In fact it looks like it is quite likely the best dashcam on the market. Can you possible clear this up for me. I now have a Blackvue 750dr 2 channel. Its my understanding that I still have to buy a dr 900 2 channel to allow my rear camera to work since the one channel front camera does not have a connection for the rear camera. Do you know if the dr 750 rear camera is compatible with the dr 900 front camera. Found the answer. You cannot order a one channel dr 900 and use the existing rear camera since the dr900 one channel has no port for the rear camera. Bummer. Yeah it is a bummer. I thought it would have the port which would be great for those of us upgrading from the DR750S-2CH. Is there a polarizing filter? If not, why not?? What good is 4K if you have trouble seeing through windshield glare? Secondly, the 162 degree viewing angle is too much fish-eye distortion. Their previous model was a more reasonable 149 degree viewing angle. Some of us also use the dashcam to record road trips as well, and the fish-eye effect is bothersome. A wider angle field of view also makes it harder to see license plates. Also, no 60 fps? Overall disappointment with their new model. I’m very interested in finding out your thoughts about an alternative method to power the BlackVue Dash cam. I’ve seen a product called the “snap n go quick hardwire kit” that plugs into the OBD. It seems to function much like the power magic pro from BlackVue, without all the extra wiring. Are there ant pros/cons I should be aware of? Oh interesting idea. I used to run a V1 off of my OBD-II port and the V1 would shut off with the car. I wonder if all cars provide power via the OBD-II port when the car is off. I don’t know. Looks like it’s much easier to install than the PMP, though you don’t have all the configuration options which isn’t a huge deal. I have a spot in my truck for an auxiliary battery, could I use that to power my camera at night or while I’m at work? Hi, I am looking for a parking mode dashcam. The sole purpose is to catch perps who scratch cars in our area. The other options are not needed. The cam should record the whole night of video (like 16 hrs+), so I guess hardwired cam is the right option. If you think a battery is better, please not in the response. The cam you reviewed are very pricey for just one feature, i’d be looking for one about 200 euros. What would be the best cam to buy for the parking mode only? 1 I have found that the batteries are much more expensive than hardwiring. What about constant recording in SD? Will it fit 16hrs on 128GB card? Do you whether it is possible to swap the DR750 IR infrared camera with the DR900 rear camera as I would like to use the DR900 front camera with the 750 infrared camera? Hi, I bought a DR900S through your link and recommendations and I am happy with it. Thanks. A question that the Blackboxmycar.com guys would not answer is either to turn on or off the blinking LEDS in parking mode. Are these upon your perspective deterrent to bad guys or on the opposite a magnet would attract their attention to break in and steal the camera?